Mrs Oi Roth let us know that she agrees to take her portrait, and tells us about the worries and pains she has. 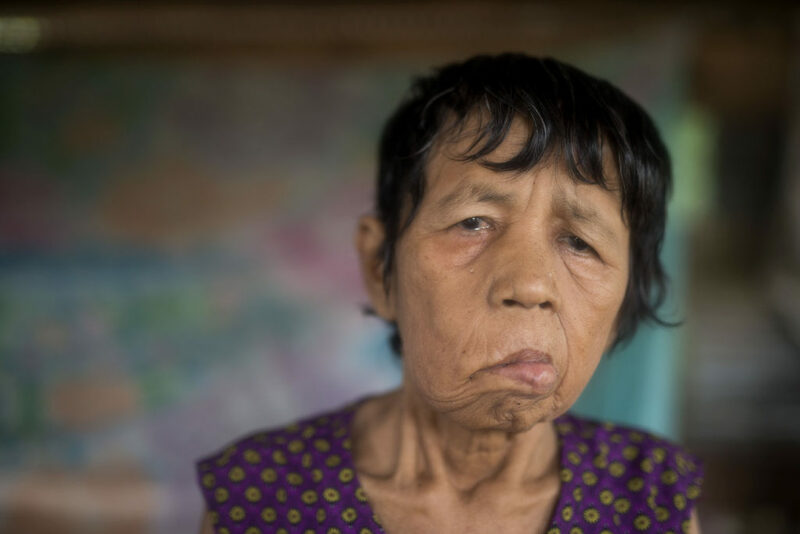 The food she receives from her nephew is not enough to feed her well, and she does not have any medical care. We went to Siem Reap in the North of Cambodia to talk with elderly in a rural environment. We were not prepared for what we would encounter in Siem Reap. It is small city with 250.000 inhabitants. This small town is totally dominated by the tourist industry, receiving 2,3 million tourists in one year. Hotels from 800 down to 8 dollar a night can be found in this not so Cambodian, small town. The tourist district has its own “Pub Street” dominated by Pizza, Mexican food and Belgian beer. Everybody goes to the Angkor Wat temple district to see the 12th-century ruins of old temples. Totally destroyed by terrorism. When you visit you are one of the 1000 a day. Be sure to fight for a nice photo without tourist in sight, to keep up appearances that you really were on a spectacular journey. Siem reap has seen an enormous flight in the amount of tourists, without the local community benefiting likewise. Or the tourist goes to the lake Tonle Sap, to visit one of these cute villages of fishermen. Poverty is so nice to see in action. So rustic and so romantic. And we are sure that the next innovation in Ankor Wat wil be free wifi in the temples and every 10 meter a charging point for your battery will be installed. Mrs Oi Roth in her shack. She is 61 years old and had a brain stroke last year. We went the opposite way. We went with Mr. Kunthea, a project coordinator for PK, linked to Helpage, to the village of SokSan and two adjacent villages. He helps and coordinates with his staff 20 Old People Associations. We met several old people there that lived in a shack. We interviewed them and filmed them. 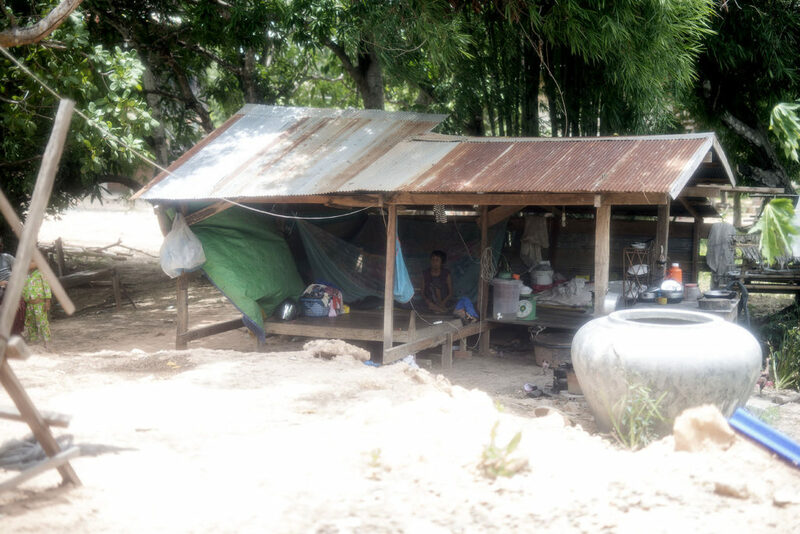 One old lady, Oi Roth of only 61, lives in a shack on the terrain of a fisherman, her nephew. She had had a stroke in her brain and could not walk anymore. The only thing she could was sit in her ‘house’ in a temperature of around 32 degrees Celsius. The only care she received was attention from the OPA and food from her nephew. The government has no program of help there. State pension does not exist. The OPA is attending another 160 people like her. Wouldn’t it be a social innovation if all those tourist that come to see the dead buildings of the past or that make poverty an attraction, should take their responsibility? That they spent one day of their “adventurous” visit to a country like Cambodia, in fulfilling the need of those like Oi Roth? And of course not by treating her like a thing, like a new tourist attraction, but by just helping her in her need for medicine, daily food and a human attention. This would be a revolution, if the 2.3 million tourist would not only come to Siem Riep to consume and entertain themselves, but a lso contribute to the local communities. Mrs Oi Roths shack. She never leaves it for lack of transportation and inability to walk. I totally agree. 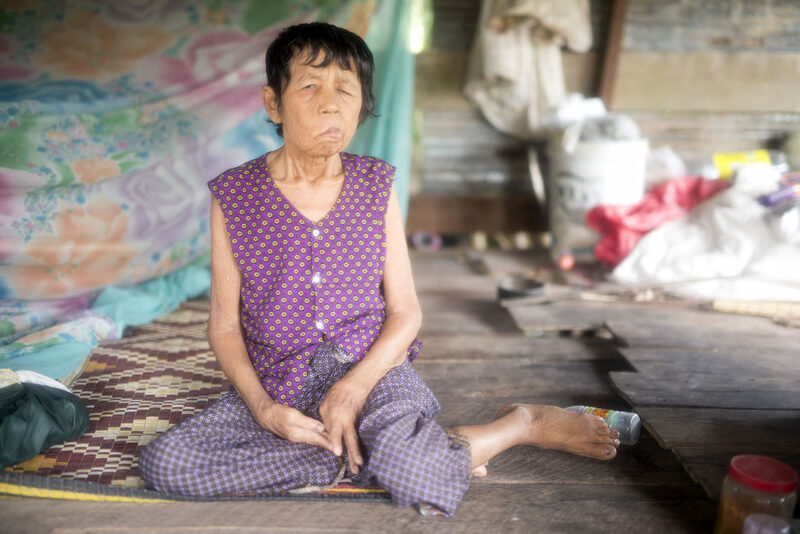 Cambodia need to focus on the elderly who are on there own and need help and support. Oi Roth would really benefit from community care for the elderly. I work in an aged care facility in Australia as well as community care. I plan to move to Cambodia in the future and would love to contribute to the care of elderly people.